This is an easy pattern for a knitted scarf. I made it up to practice knit and purl stitches, to build up speed and work on keeping an even gauge as I go. 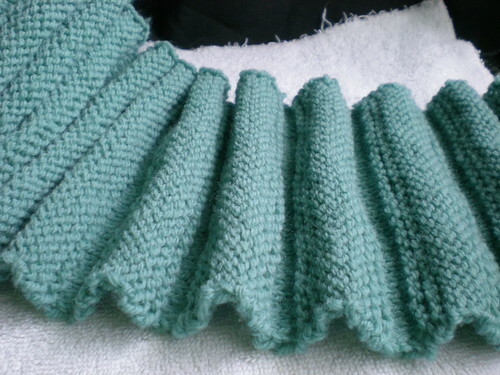 It is supposed to be wavy when finished, resembling the shape of a sinusoid curve. 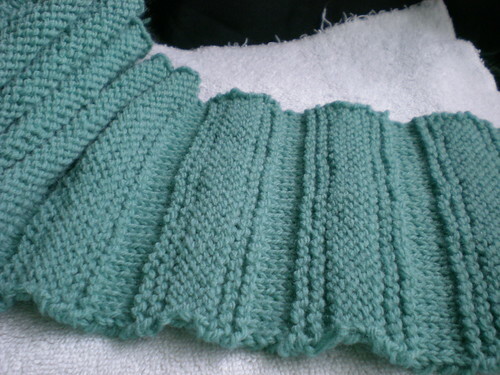 This is done simply by alternating garter stitch sections, which lay flat, with stockinette stitch sections, which tend to curl towards the knit side. 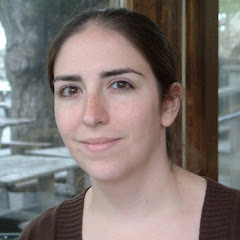 I alternate the side the stockinette faces to form the max and min points. So, this is a very nerdy project. 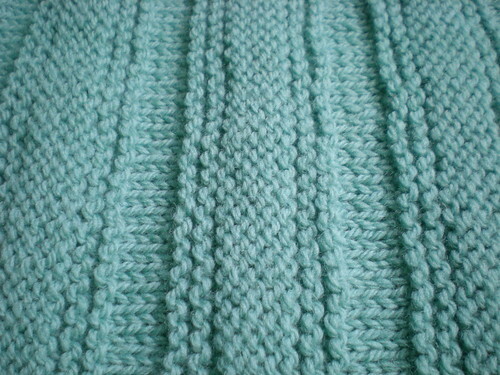 Rows 1-4: knit all stitches. Row 5: purl all stitches. Row 7: purl all stitches. Rows 8-13: knit all stitches. Repeat rows 5 through 13 until scarf is desired length. Bind off.